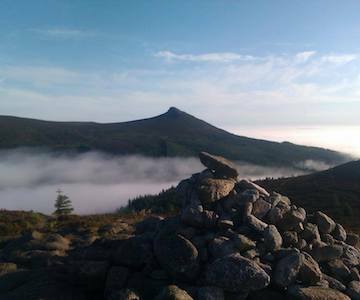 The Bailies of Bennachie are seeking to appoint an enthusiastic individual to this post so as to raise the profile of the Bailies and increase engagement with existing members, local landowners, organisations and the general public. 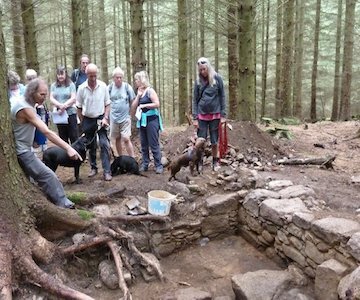 One of the Bailies guided tours to the Bede House excavations. 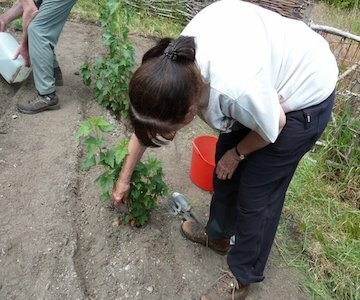 There is a lot to see and new features are continually being unearthed. 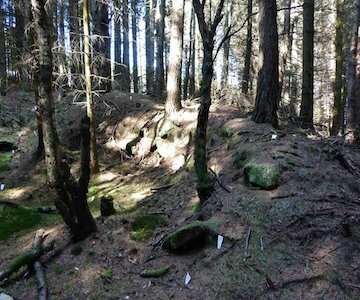 There is a short walk to the site. Each tour should last about 90 minutes. This month’s workparty was clearing bracken, etc., around two of the Colony Houses. Due to the good turn out of excavators fine sections of wall are now appearing and survey work is well underway. 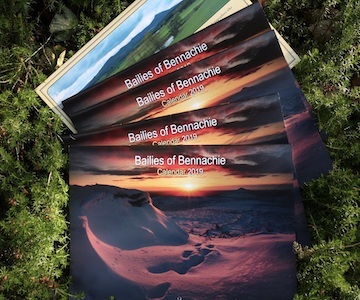 The Bailies of Bennachie 2019 Calendar has just been delivered and is now on sale, you can download an order form from our Publications page, a big thank you to all photographers for the use of their photos. we hope you like it. Start of the excavation at the Bede House site showing wall footings and recording a hearth. 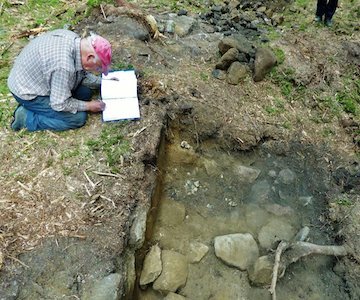 Early indications show some promising archaeology to be found. 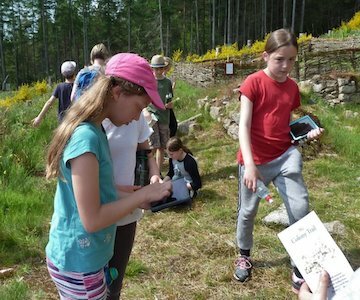 Recording stone quarries to the north of Shepherds Lodge, as part of the Bennachie Landscapes Project. 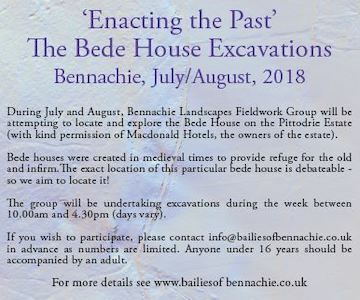 A programme of fieldwork being carried out by the ‘Bennachie Landscapes Fieldwork Group’ is attempting to locate and explore the historically-attested ‘Bede House’ on the Pittodrie Estate. 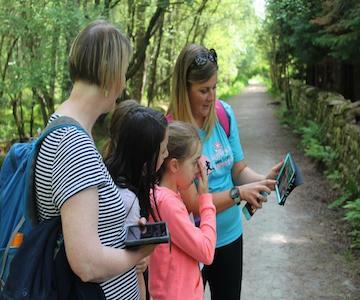 New app 'The Digital Bennachie Colony Trail' tells the story of crofters at Aberdeenshire’s iconic hill and is available for free download for both Android and Apple operating systems. 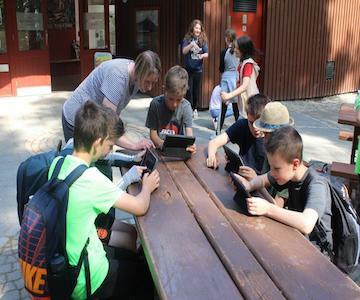 Pupils from Insch Primary School came along to The Bennachie Visitor Centre to help launch the Digital Bennachie Colony Trail App.